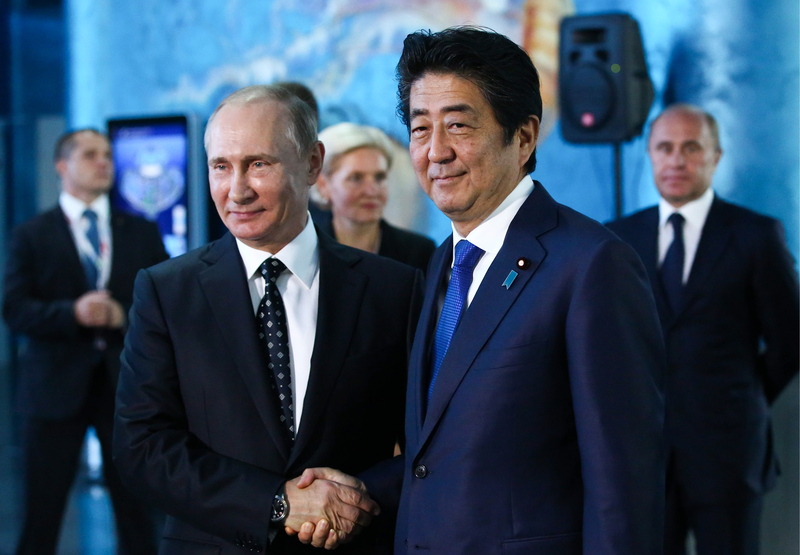 Vladimir Putin and Shinzo Abe. Japan’s Prime Minister Shinzo Abe plans to visit Russia in early 2017. On Jan. 8, the prime minister had a meeting with allies in the Yamaguchi Prefecture, where on Dec. 15, 2016, he received Russia’s President Vladimir Putin. "Having the firm intention to settle (the problem of belonging of the southern Kuril Islands and of signing a peace treaty) within this generation, we hope (to apply) every effort for negotiations," Kyodo quoted the prime minister as saying. "For that, early this year I want to visit Russia." The NHK television channel showed earlier Abe expressing the opinion the joint economic activities in the southern Kuril Islands may be "a big advantage on the way towards a peace treaty," adding without relations of mutual trust settling the problem would not be possible.